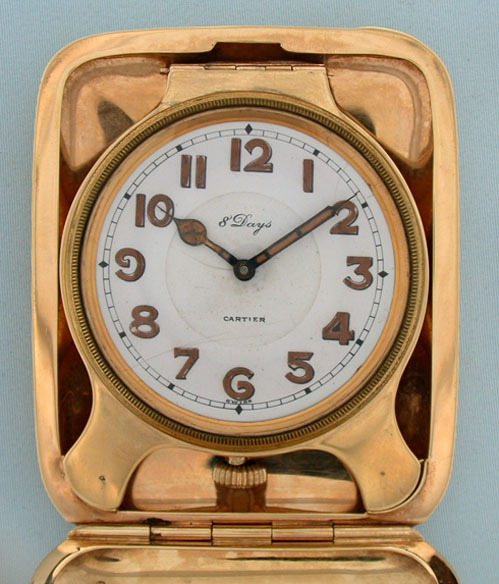 Fine Cartier 14K gold folding 8-day travel clock circa 1920. 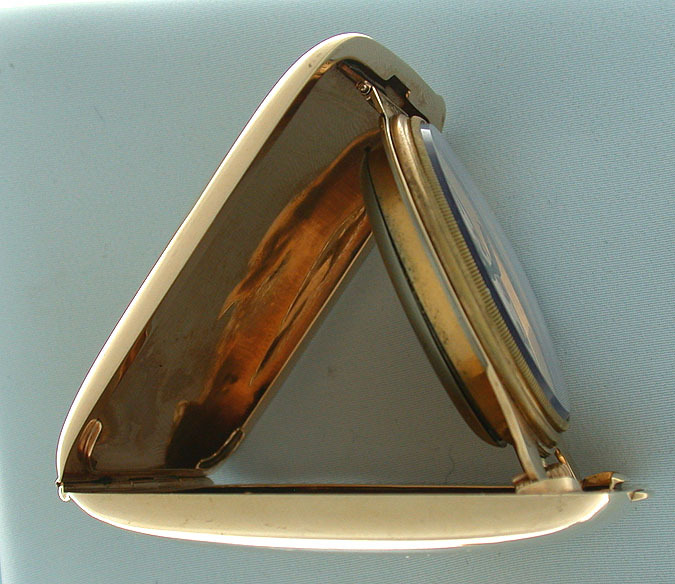 Very heavy gold case which weighs 49.4 dwt without the movement or the glass. 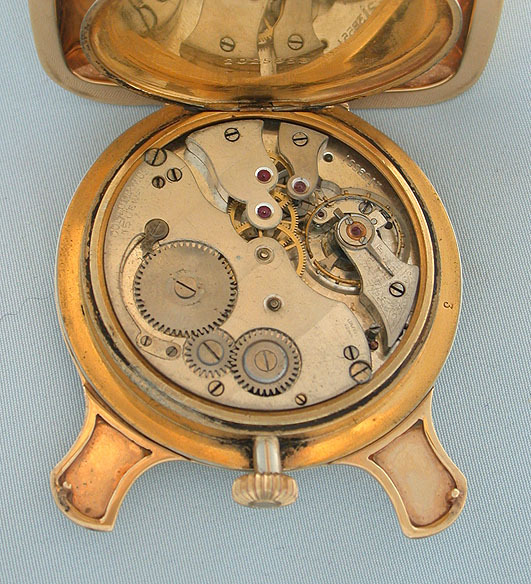 Concord nickel 15 jewel movement. 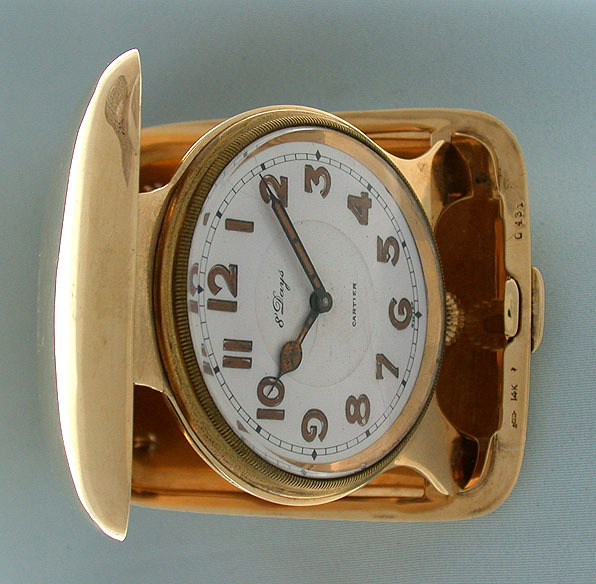 White enamel dial with hairlines.